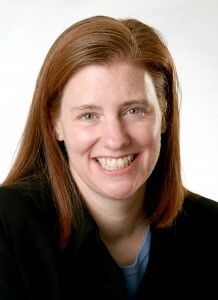 Dr. Dolan is a mom of 16- and 13-year-old daughters and an 11-year-old son, a consultant to the March of Dimes, and an associate professor of obstetrics & gynecology and women’s health at Albert Einstein College of Medicine/Montefiore Medical Center in the Bronx, in New York City. What’s your favorite parenting advice? Try something and see if it works. If not, try something else. Keep flexible. What’s surprised you most about parenting? How challenging breastfeeding was. People say that it’s so natural, but I found it to be very challenging. They say that people with red hair and fair skin might be more sensitive and find it more painful, and I certainly fit into that category. As an ob/gyn, I was very prepared for labor and delivery because I knew what to expect. But I wasn’t prepared for breastfeeding, and I had no idea it would be as hard as it was. How do you get your kids to eat healthy foods? I don’t! If I had been asked this before my son was born, I would say we ate out a lot when our daughters were little, they ate a lot of different types of food, and they developed wide palates. Even as babies, we took them to a local Indian restaurant, and the folks there said they never saw American babies so willing to eat Indian food. But my son is a very picky eater. I honestly can’t answer the question about how to get him to eat healthy foods! I wonder if it is influenced with the growing availability of kids’ menus and chicken fingers. Even the Japanese restaurant offers kids’ chicken fingers! My son is now a chicken finger aficionado. How do you work exercise into your family’s life? I wasn’t an athlete, but I definitely see the benefits of exercise. My kids are all on various sports teams. My older daughter is a serious swimmer, my younger daughter plays soccer and dives, and my son plays football and soccer and swims. I think that sports are so good for kids. They connect them to a team. I really encouraged my kids to choose their own individual sports because everyone might not like the same thing. We enrolled our older daughter in soccer when she was 5. She would stand in the back, and it was like she was thinking, “There’s the ball. Someone should get that.” She just had no instinct for soccer. But then she tried swimming and loved it. So that’s been her sport. And then my middle daughter tried swimming and didn’t like it, but when she saw the girls diving off the diving board at the swim meets – she wanted to try diving. And that’s turned out to be her sport! My son plays everything. He never met a sport he didn’t like!! How do you recharge your batteries? I don’t have a lot of free time, but I joined a master’s swimming program. I’m not very good, but I enjoy it! And when I don’t have time to swim, I try to run to the gym, even if for just half an hour. I’m trying to get pregnant. I’ve heard that caffeine isn’t good in pregnancy. But I’m not sure I can give up my coffee habit. What did you do? This is embarassing; I’m concerned about having a BM while I’m in labor. Did you worry about that? Did you start any holiday traditions when your kids were toddlers? How did you manage all of your toddlers’ artwork?